Dr. Patel is a member of American Dental Association, Georgia Dental Association, Northern District Dental Society, Academy of General Dentistry, American Academy of Orofacial Pain, American Academy of Craniofacial Pain, American Academy of Sleep Medicine, American Academy of Pain Management etc… and concentrates his practice to the treatment of TMJ Disorders, Headaches, Facial Pain, Sleep Apnea and Snoring. Dr. Mayoor Patel is a leader in the field of dental sleep medicine and temporomandibular joint dysfunction. He recently released a book on the use of dental oral appliances for patients that are unable to use the cpap machine to treat sleep apnea. I gone him my highest recommendation and feel any patient would be cared for above the standard of care. Dr. Mayoor Patel is at the top of his field. Not only is he an expert in treating patients for their snoring and sleep apnea needs but he is a leading expert in teaching, training and education. In all of his spare time he helps with research and development of new and exciting sleep apnea appliances for the dental field. Dr. Patel is very knowledgeable in the field of Craniofacial Pain and Dental Sleep medicine. It is a pleasure to work with him knowing that his understanding of these fields helps his patients live a better life. I recommend patients to him for his expertise. Dr. Mayoor Patel is forward thinking, innovative and on the cutting edge of technology and systems. He is also a clinician and professional of the highest character and ethics. Dr. Patel combines these traits to bring incredible value to both his patients, his peers and his community. Dr. Patel has a wealth of knowledge and is viewed as an expert in the field of Craniofacial Pain and Dental Sleep Medicine. He is passionate in what he does and it shows in his work as he treats patients and educates other health care professionals. I have the honor and pleasure to know and work with Dr. Mayoor Patel for many years. He is a very well read and intelligent individual with a sharp wit! He uses his breadth of knowledge to care for his patients in a holistic manner. He is always a positive and up-beat person and wonderful to work with. I unreservedly refer my patients to him for his expertise. I have known Dr. Mayoor Patel for 20+ years and do not know of any other practitioner that is so dedicated to learning and constantly educating himself. He doesn’t stop there…he is always willing to teach and help other doctors raise the standard of care. Highly recommend him for consulting, teaching and personalized hands-on care. I had an “over-the-shoulder” and hands-on seminar by Dr. Patel in January of 2012. He demonstrated and incredible depth of understanding of Sleep disorder breathing and TMD. I was able to put to practice all that he had taught. Since then I continue to consult him about some of my cases. I would recommend him as a clinician for my family, and a mentor for my peers. Dr. Patel is extremely knowledgeable in the treatment of sleep apnea, TMD, and craniofacial pain. I am extremely confident referring my patients to him and appreciate his willingness to share his knowledge with me. Dr Patel is a supremely intelligent practitioner, a learned mentor and trailblazing dentist in his field of practice! An outstanding clinician to work with and to learn from. I continue to be impressed with Dr. Patel’s dedication to continuing education and care of his patients. I have had the pleasure of working with Mayoor for many years. I am impressed with his dedication to the field of Craniofacial Pain and Dental Sleep Medicine. We have attended many conferences together and his thirst for more knowledge is an admirable trait. He has always been more than willing to share any new “tricks of the trade” that he has learned and has put into his practice. If you are his patient, you can be sure that you are being treated with the latest and most up to date techniques that are available. I highly recommend Mayoor as a doctor and as a friend. I have known Dr. Patel for a long time. He is a great dentist, colleague and friend! Dr. Patel is extremely dedicated and committed to treating patients in the field of TMD, Orofacial Pain and Obstructive Sleep Apnea with oral appliances. In relation with his patients he is confident, empathetic, humane, personal, forthright, respectful and thorough. He is a very good listener and intelligent. Dr. Patel e is an excellent colleague and very dedicated to the profession and his patients. He is very competent. I have known and trained with Dr. Patel for over a decade and know him to be the consummate professional. He is a “happy” individual with a curious mind that results in a ever expanding knowledge base that benefits his patients. I have referred patients to him and would travel to be treated by him myself if necessary, as I don’t trust too many doctors in this world. Dr. Patel is the exception. Exceptional person. Exceptional doctor. I have known doctor Patel for more than 20 years and I have only positive things to say about him. He is compassionate, caring, intelligent and I highly recommend him to everyone. Dr. Patel is a true professional. A person, who is totally engaged in areas of study, that allows him to be an expert in craniofacial pain and sleep apnea remedies. If I was a resident in his area and had sleep or facial pain issues, he would be the first practitioner I would seek. I have enjoyed working with Dr. Patel. Love his enthusiasm and professionalism. I have worked with him on some difficult cases over the years and appreciate his expertise and dedication in treating patients with sleep apnea. He has improved peoples lives dramatically with his work. I have been working with and referring my patients to Dr. Mayoor Patel for several years. He addresses patients’ needs thoroughly and timely. His treatment options start conservatively and he monitors patients progress well. He is informative and always willing to share his knowledge with peers and associates. A true professional! I have known Dr. Mayoor Patel for many years. He is well known and liked by the community. 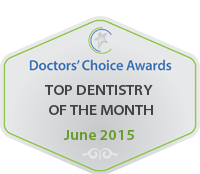 He has tremendous knowledge in the field of TMD/craniofacial pain and dental sleep medicine. I look to Dr. Patel for his expertise when I want the best for my patients. I would recommend Dr. Patel without reservation. I have worked for Dr. Mayoor Patel for few years as a Dental Hygienist. He is got the most warm and friendly stuff I ever seen! Working for Dr. Mayoor Pattel was my blessing. He helped me in my carrier and also has treated my family. I want to highly recommend Dr. Mayoor Patel as a very talented professional who will offer you not only a grate service but will be one of your friends!!! I have known Dr. Patel for a number of years. We studied together at Tufts so I know him both as a student/academician as well as a respected clinician, and happily, as a friend as well. 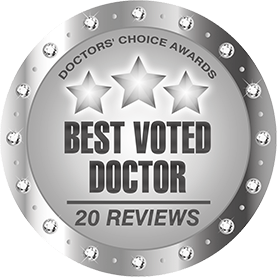 Dr. Patel is a compassionate tireless doctor who seeks truth and wisdom through knowledge so as to provide the highest level of evidence-based care available. I would entrust my family to his care if ever the need arose; what more could one say about anyone? This is an enthusiastic endorsement of the consummate healthcare professional.